Dynamic Displays, Inc. Same Brand, New Look! > News > Dynamic Displays, Inc. Same Brand, New Look! We’re excited to introduce our new and refreshed brand! Dynamic Displays still offers the same great products and service–now on a simple platform! Our new logo is a great reflection of who we are and the qualities we value the most. Dynamic Displays focuses on solving our customer’s needs. 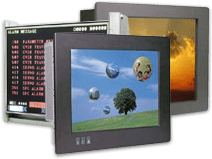 Since our founding in 1991, Dynamic Displays has been a key supplier of high quality, high performance LCD displays and panel PCs for the industrial, military and medical markets. We strive to continue bringing excellent customer service and high quality products to our past, current, and future clients. With our fresh new look, we’re excited to continue our focus on solving imaging problems, meet your unique needs, and help carry your products well into the future.